Just back from the Masonic Hall and here is the photo to prove we were there, all suited and booted for the occasion. 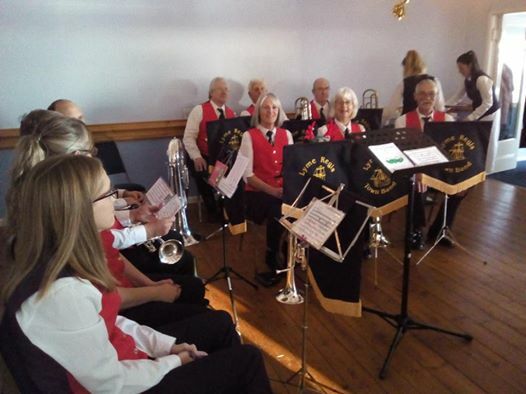 We had Robert on bass, Brian and Geoff on trombone, John on euphonium, Viv and Gilly on tenor horn and the shy little ones of the left are the cornet section which included Ellis, Steve, Catherine and Kathy. David was conducting and he was behind the camera. We had a lovely afternoon and were rewarded with some enthusiastic carol singing from the Masons and their guests. Many thanks for inviting us to play for you.